I randomly whipped this up on Sunday afternoon. I was bored. 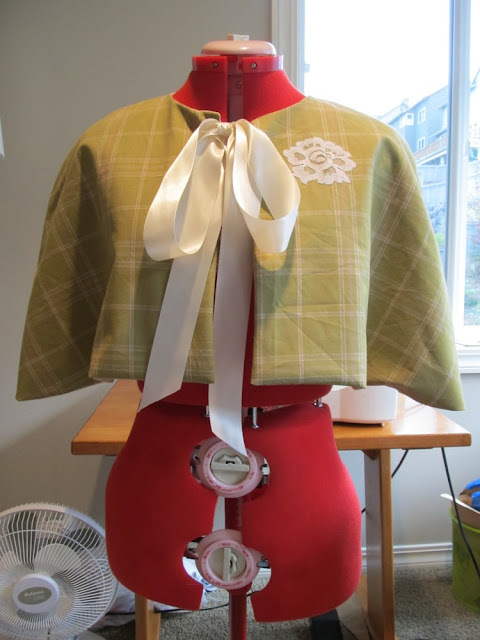 The pattern is the same I previously used for my purple Special Occasion Capelet, only I shortened it about an inch and a half. I wanted to add white lace to it somehow; I considered adding trim to the bottom hem, but I didn't have any that looked quite right. 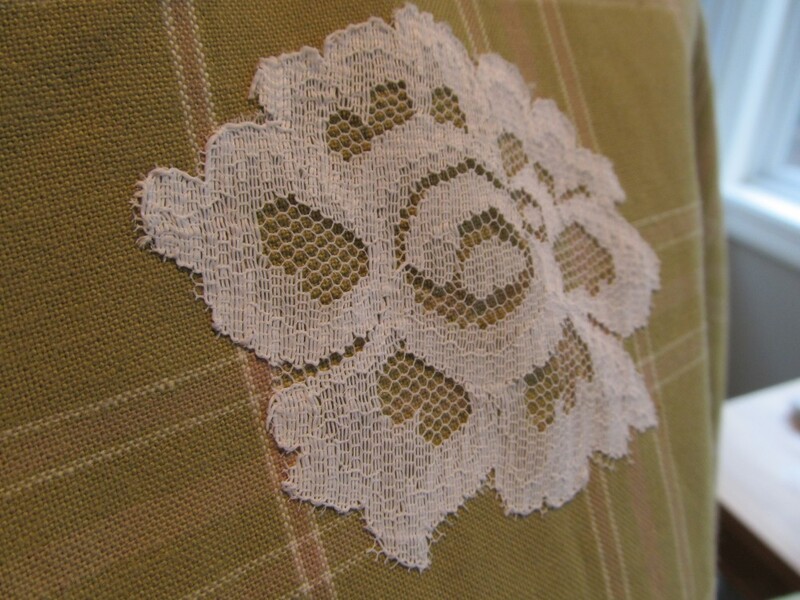 But I did have some white lace fabric with big flowers on it and as I was holding it up against the green plaid the flowers reminded me of a corsage. So I cut out one flower and hand-sewed it onto the fabric as applique. 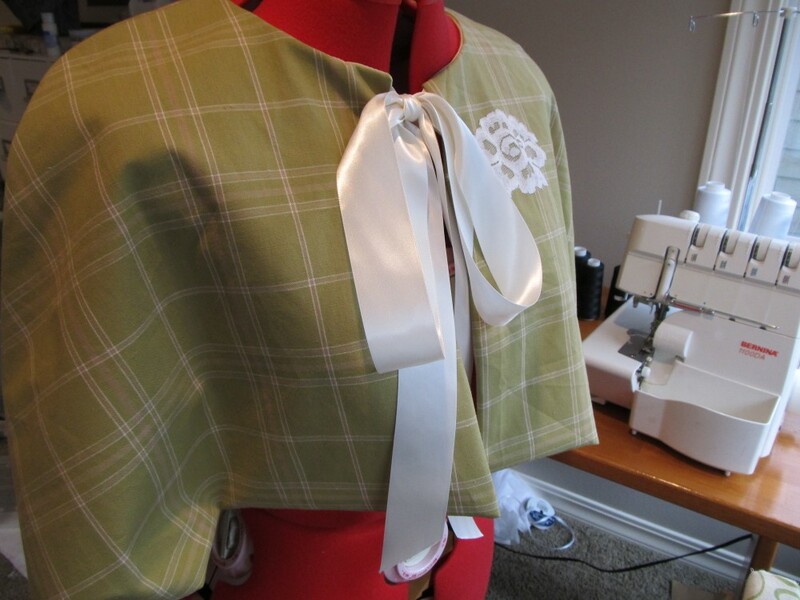 I added a big satin ribbon for a closure. The capelet feels Victorian-inspired. I think it would be fun to wear for tea.